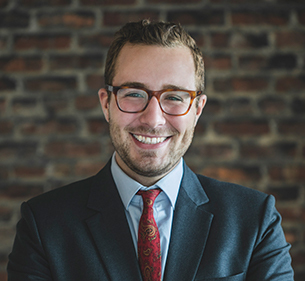 In 2018, Léo Parent-Sirois joined, as a lawyer, the firm Murdoch Archambault at its Montreal’s office. He graduated from the Université de Montréal Faculty of Law and his practice mainly focuses on corporate law relating to Cree aboriginal entities, companies and organizations. Being naturally curious and enjoying taking up new challenges, Me Parent-Sirois also studied at the China University of Political Science and Law, in Beijing. He articled in Southeast Asia with a regional law firm specialized in international business law. During his articling, he worked on various files notably in the energy and financing sectors. He is interested in inter-nation relations, but also in the various aspects of corporate law, governance law and public law. Member of the Quebec Bar since 2018. LL.B., Université de Montréal, 2016.